The sun appears to be setting on stage behind Snoopy’s familiar red dog house. The sounds of the beloved “Peanuts” characters walking into place fills the room, as Charlie Brown, played by Noah Evans, questions if he’s a good man at the mere age of “more than 5.” It feels nostalgic as the audience members smile and nod their heads, ready to watch comic strips made to cartoons from their childhoods come to life in front of them. Directed by Lynne Morrow and Doyle Ott, Sonoma State’s Department of Music and Theater Arts & Dance co-produced “You’re a Good Man, Charlie Brown,” based on Charles M. Schulz’s comic strip “Peanuts.” This modern take on the 1967 classic walks the viewers through Charlie Brown’s days, as he plays along with his sister Sally, played by Hailey Patrick, friends Lucy, played by Anna Leach, Linus, played by Matthew Adiao, Schroeder, played by Brandon Matel, and his iconic dog, Snoopy, played by Emily Rice. The gang get together for daily shenanigans; whether it’s trying to fly a kite, writing a book report, playing baseball or deciding what happiness is, they revisit different comic stories, making the audience laugh along and bob their heads to the songs of their childhoods. The effort the cast members put in was clear. Audience members clapped and shouted enthusiastically as the show came to an end. The songs and singing that brought each different character to life was always rewarded with loud applause and laughter. The music from the live orchestra had viewers swaying as the characters sang out about the important things to 5year-olds. Audience members, whether they were long time “Peanuts” fans or not, agreed the play brought back favorite memories while also being interesting to college students today. “Why is this still so relatable? These kids are literally living my same life,” junior Emma Hoop said. If the names of the “Peanuts” crew sound familiar, it is because this play’s inspiration runs close to home. “Shadows of the iconic characters from Charles M. Schulz’s ‘Peanuts’ comic strip surround us in Sonoma County,” said Morrow and Ott. 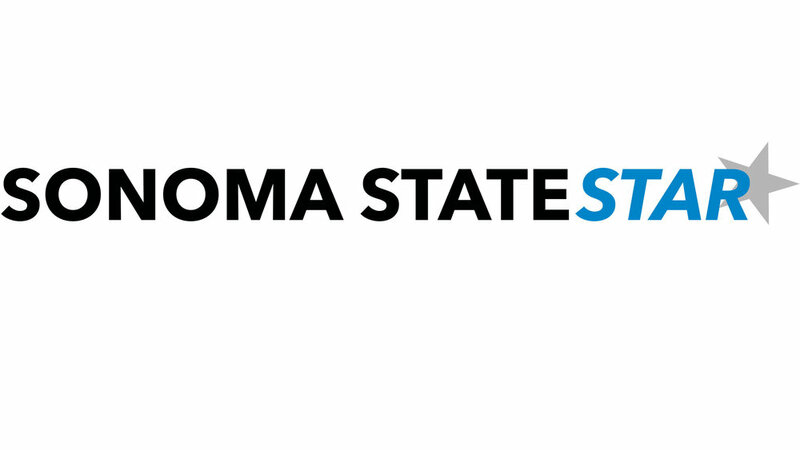 While Sonoma State have painted these names are painted across the campus, they also appear throughout the community, as Schulz was a member in Santa Rosa for over three decades until his death on Feb. 12, 2000. During the previous fall semester, massive fires struck Sonoma County, devastating the community. Schulz’s home, where his wife Jean Schulz was living, was one of the homes that was lost, along with memories from her late husband’s cartoons. While the school chose this play months in advance, stage director Ott said, “[The loss of Schulz’s home] definitely had an impact on all of us here. Thankfully, the [Charles M. Schulz] museum in Santa Rosa survived the fires and the cast was able to visit it before the production. But yeah, it is sad and certainly something we thought about while doing this.” As the first play of the spring semester, the timing couldn’t be better. 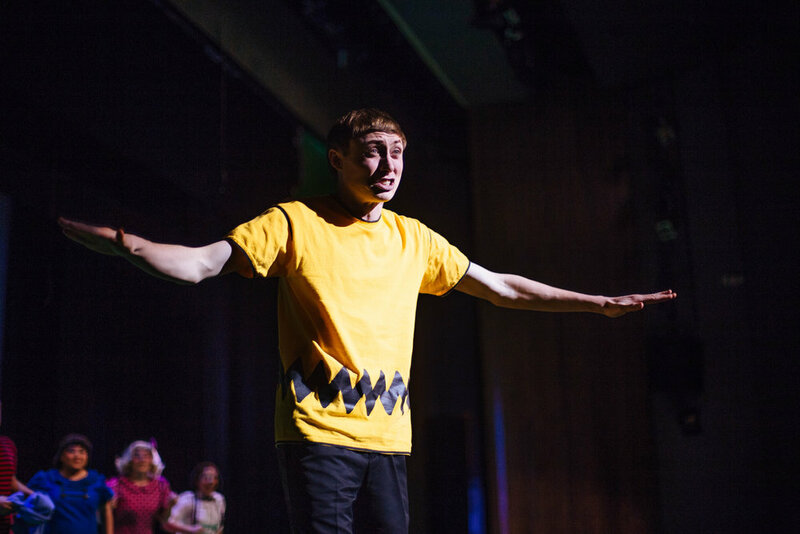 Whether viewers went as “Peanuts” fans, for class requirements, in memory for Schulz and his family losing their home, or to support Sonoma’s theater department, the play pleased the audience. As the “Peanuts” characters would say, don’t be a “blockhead” and make sure to catch a show before it ends. The play will continue in Evert B. Person Theater through Feb. 11.